Amazon’s digital assistant, Alexa, has the largest command repository among the popular digital assistants of today, but that isn’t stopping Amazon from adding new commands and features to the digital assistant. The company recently started rolling out a new “Follow-Up Mode” which allows users to ask multiple questions in quick succession without repeated the “Alexa” hotword. According to a report from CNET, the Follow-Up Mode keeps the digital assistant active for 5 seconds after answering the first query which gives the interaction a more natural feel. To indicate the new mode, the blue ring on your Alexa device will light up for the duration after the first query is answered. However, the new mode won’t allow users to chain multiple commands at once and they’ll have to wait for the first command to complete before issuing the second command. 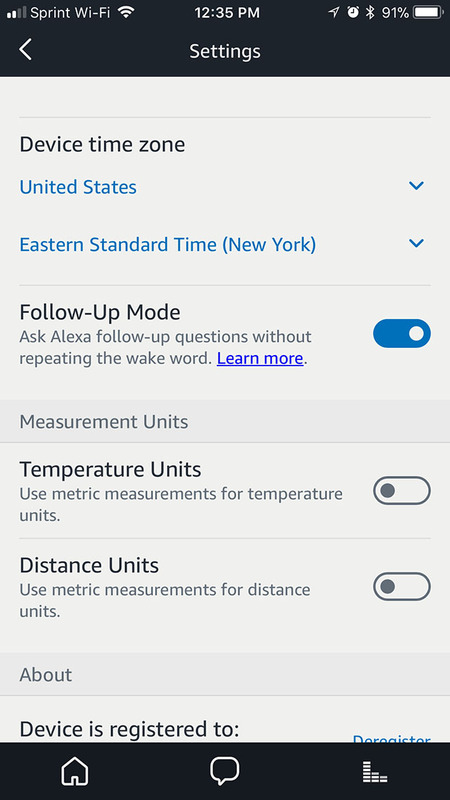 The Follow-Up Mode can be enabled from the Settings section of the Alexa app. Amazon claims that the feature will work only when Alexa is “confident” that it hears a legitimate request and not just background noise. Additionally, if a user wants Alexa to stop listening for the next command, they can say something like “thank you” or “stop”. It is also worth noting that the feature won’t be available on all Alexa-enabled devices and is currently limited to US English. In order to prevent accidental commands, the feature won’t work while the user is listening to music, streaming an audiobook or making an Alexa call.